Rated 1 out of 5 by SimonP from Poor quality! Comfy, look good, but somehow Hunter manage produce poor quality at high end prices. I had my boots 3 weeks and the ‘Bamboo Carbon’ wore through to bare rubber! Ill never buy Hunter boots again!! 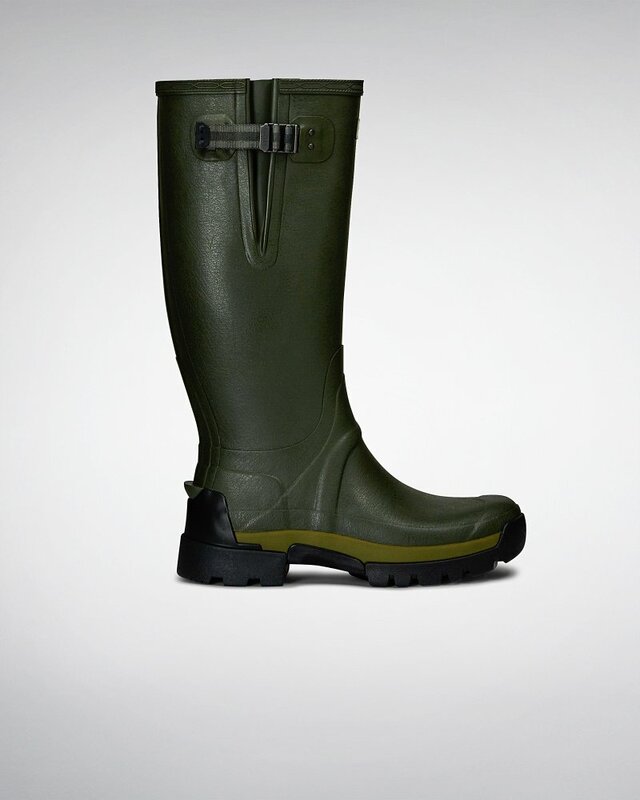 Rated 1 out of 5 by kernow from Terrible I have bought Hunter wellingtons all my working life. Never again ! They used to stand up to the rigours of daily farmwork and last a long time. Not any more ! Now they won't even last with light leisure use only. I treated myself to this particular model 6 months ago. After wearing them only 20 times in long grass only, they failed. A crack appeared on the saddle part of the boot for no reason, then the side of the sole opened up and came away too, resulting in wet feet and a useless boot. Such a shame and so sad as I would still like to support this iconic brand as I always have done, but no longer can. Sorry. Rated 5 out of 5 by Hampshire lass from Lovely Boots I bought these for my partner, he had a pair which he loved, but they accidentally got ripped at the ankle. The bamboo lining means that when he wears his lined trousers he doesn't get too hot, unlike neoprene lined boots which means sweaty legs and feet! Comfortable, well fitting, slightly on the large size but the insoles take care of that, just what he wanted! Rated 2 out of 5 by anoymous21 from Not a good boot i brought this item a couple of months ago to wade through water but after they got used a couple of times i realized that the bamboo material was rubbing away on the heel inside the boot . The boot was not warm when it was snowing or cold like they said on the advert " warm in the winter and cold in the summer"
Rated 2 out of 5 by Anonymous from Not sure they’re as robust as previous version.Will wait and see. Rated 1 out of 5 by Anonymous from Split and perished after only 14 months. Very poor quality and very disappointed.